Well there’s a sequel that I’m planning on getting Z & A for Eid. I totally procrastinated, but ah well! 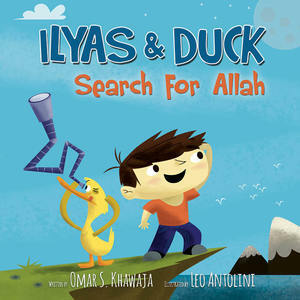 Well Little Big Kids is hosting a giveaway for the first book, Ilyas and Duck Search for Allah. Which basically means I have a free book for one lucky reader! My summary: The story is about a curious little boy called Ilyas who searches for God’s location. Allah is simply the Arabic name for God so this book is universal for all faiths. The story is a beautiful, heartwarming story. Z really enjoyed this story. As a parent who is often asked to read the same book over and over, I really enjoyed the illustrations that added a comical touch to the story, especially Duck’s antics. Baby A loves this story even more than Z, and is always grabbing and hugging this story when we read books. She also loves saying Ilyas’s name, and pointing to him, “Ilyaaas!” I was looking at the upcoming story of Ilyas and Duck’s Fantastic Festival Eid-ul-Fitr on my computer and Z and A saw the cover of Ilyas and Duck standing by a cake on my screen, and Z started yelling, “Ilyas is baking!” and A started clapping her hands saying, “Ilyaaaas!” so the cool thing about this character Ilyas is that he’s relatable. It’s refreshing to see children like a Muslim character, not just Dora! 1. Like Ilyas & Duck on Facebook. 2. Like Little Big Kids on Facebook. 3. Follow Ilyas & Duck on Twitter, and send us a tweet saying salaam! 4. 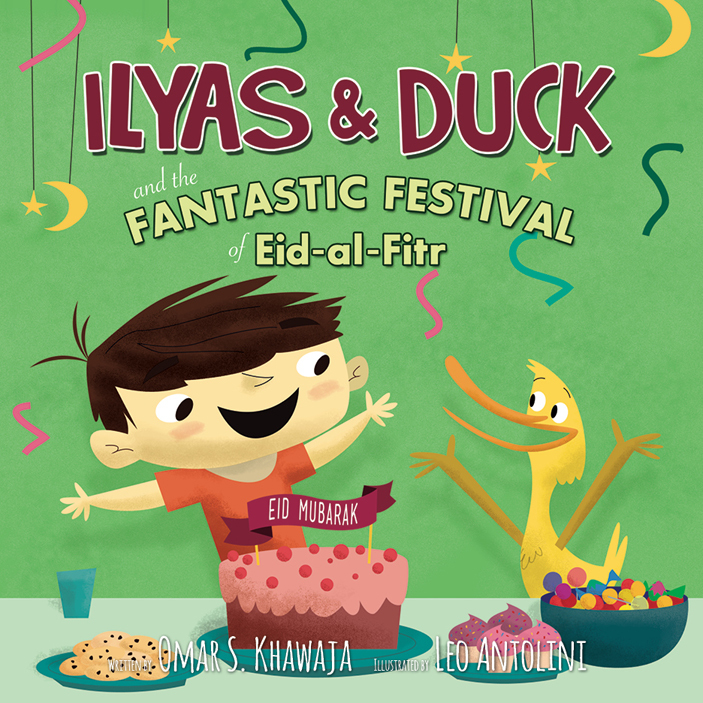 Share the word about Ilyas & Duck on your facebook, and tag the page! 6. Follow Little Big Kids on Instagram. 8. Subscribe to Ilyas & Duck on Youtube. Once you’ve done all 5, please let me know by leaving a comment on this page. I know some of you leave comments on my Facebook page, but it’ll be easier for me to manage if we have the comments all here! Then I will plug in the entries into a site which will randomly choose a winner. You do have to be living in the US to enter this Giveaway. Deadline for entries: Friday the 25th, and hopefully I can mail the book out Saturday to make an awesome Eid gift for your little one! Eid Mubarak! Disclaimer: Your book will probably arrive a couple days after Eid! Eid has 3 days, right?! Previous Lailah’s Lunchbox: a book deal!!!! Done 🙂 I don’t know how I missed your original review, I usually follow your writings. I liked their pages, and they are so cute. inshaALLAH I hope to win the book, but even if I don’t, thanks for introducing me to something that I can use with my boys. They love reading. not done, but i’d love to win the book! i’ve heard awesome things about it!